According to Phocuswright, 70% of people that stay in holiday homes can’t remember who they stayed with. That’s a huge amount of people who are unlikely to be a repeat guest. Of course, your new bookings might still thrive, but at a cost. Businesses spend a small fortune to attract new customers, whilst neglecting their past customers. On average it costs seven times more to attract new customers rather than retaining existing ones. Encouraging guests to return, as opposed to acquiring new ones, not only reduces your customer acquisition costs but also reduces your workload. Here are some tips on how to implement a loyalty program that encourages guests to return. Loyalty programs make guests feel part of something exclusive. By signing up, they have access to lucrative benefits that others don’t. A loyalty scheme makes guests feel special and a valued customer. In turn, this will encourage them to rebook your property. It’s a great marketing tool that gives you a competitive advantage and ultimately shows you are eager to reward loyal guests. Plus, past guests ask fewer questions as they’ve already been to the property, saving time which equates to more productivity. Your first task is to encourage guests to be loyal to your rental and this isn’t as hard as you may think. According to a study by LV insurance, almost a third of British holidaymakers have been to the same place more than three times, while one in 20 has returned more than 10 times. People are creatures of habit. But you’ve got to give guests a reason for wanting to return. In a sense, you’ve got to give them such an amazing experience that they wouldn’t consider going elsewhere. First, start off by building a brand that holidaymakers will remember. For this, you’ll need to have a memorable name, a website and social media accounts that provide all the essential information someone visiting your location needs to know. You can also give guests useful branded gifts, a souvenir (so they will remember their stay with you) such as a keyring torch, mug or cuddly teddy. Most people choose to stay in a holiday home over a hotel for the extra amenities and sense of space. It’s essential that you overdeliver on what’s promised in your marketing, so you get a “wow” from your guests when they walk through the door. From your amenities to the booking procedure and follow up, everything must be 5*. This especially applies to cleanliness and the internet which are the top complaints in the hospitality business. A dirty home and slow WIFI will deter guests from returning whatever the incentive. Plus, they’re likely to leave a negative review that could deter future guests. 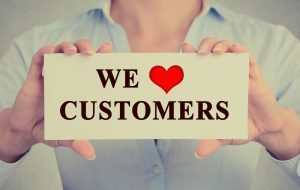 The easiest way to build customer loyalty is to simply be the best out there. Guests will be used to a mundane welcome basket supplying the basics. Everyone loves a freebie and your customised welcomed basket is an opportunity to delight guests when they arrive. Leave a nice bottle of wine, fresh flowers, bath products, local produce, slippers, toys or dog treats (depending on the type of guest). It’s a little something that shows your appreciation. Giving a free gift will help create loyalty and activate the law of reciprocity. Here are some tips on how to create the perfect welcome basket. Travellers object to being charged for extras when going on holiday (extra baggage, booking seats etc.) and on the flip side they love being upgraded. There are multiple ways in which you can delight guests by providing free extras to enhance their stay. This could be a mid-week clean, early check-in/late check-out or a pick-up from the airport to make their life easier. Take it a step further and provide more of a concierge service for guests. Try to find out more about the purpose of their visit when they book. Are they celebrating an anniversary or birthday? Are they going to a local concert or event, can you get them access to the VIP area? Using this information, you can surprise them with a card and gift. Guests are more likely to be loyal if they feel valued. Leaving a personalized, handwritten welcome card, or a simple “thank you for your stay” email once a guest checks out is always appreciated and quite often forgotten. Good manners go a long way as it shows guests you value their custom. Always ask guests for feedback upon their departure and if there is anything that could be improved. This not only gives you ideas for continual improvements, but it also shows guests you value their comments and that you are constantly striving to improve. Again, making them feel valued. You should also read your competitors reviews for ideas which you can implement at your rental. Don’t become a stranger after guests leave. Remember to keep in touch via email and social media. This could be promoting events, a special offer, late deal or a simple reminder that’s it’s a year since they last stayed. This way you stay present in their mind. Remember, 70% of holidaymakers forget who they stay with, regular engagement can prevent that from happening. Personalise your emails by remembering their (or their dogs) name or mention something specific about their trip. Simply dropping these little details into a conversation makes guests feel remembered and valued. Rewarding guests who rebook is the no1 tried and tested method to encourage loyalty. 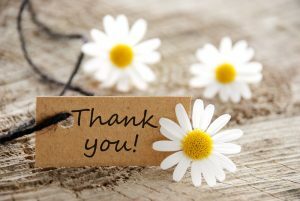 A discount, a free night, priority booking for peak weeks or honouring last year’s rates means your guests will feel valued, appreciated and special. Building loyalty enables you to stand out and stick in the mind of holidaymakers. If they remember you and have a positive experience, they’re likely to rebook with you. Especially if you offer an incentive. There are various loyalty programs that you can use to entice holidaymakers to rebook. Start by learning from hotels, but unlike hotel chains, you have the freedom to be as creative as you want with your unique rewards. Some of these ideas may be more suited to holiday cottage agencies or owners with multiple properties. It all depends on which one is most likely to work for your holiday home. The most common loyalty program is the point/tier system where customers get a certain amount of points for every pound spent (e.g. £ equals 10 points and 5,000 points earn 10% off). Guests receive bigger rewards the more they spend. In turn, they receive discounts, free nights, vouchers or free tickets to local events and entertainment. This will encourage guests to stay more frequently and it gives you the chance to reward your best customers. Negotiate exclusive offers with other local businesses which your guests are likely to visit during their stay. It could be that the local pub, spa, theme park or theatre gives guests staying at your property a discount or something extra that isn’t available to others. These deals are mutually beneficial for everyone. Word-of-mouth marketing is more effective at driving new customers than advertising. Consumers trust referrals by people they know and are more likely to buy when referred by a friend. Having guests encourage their friends and family to stay at your property will increase your bookings. 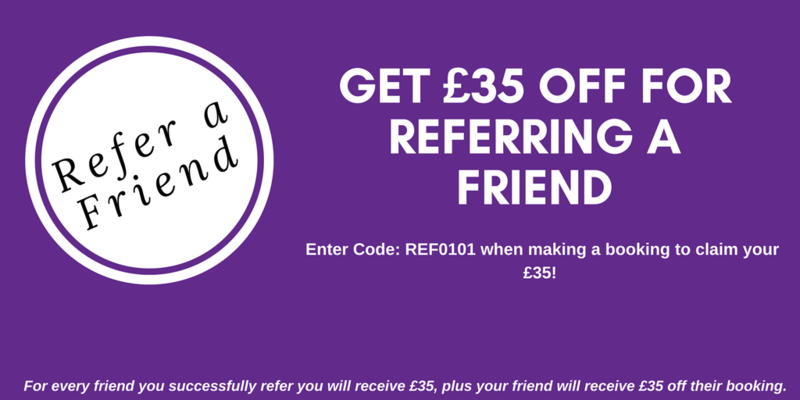 Simply give a reward to both the referrer and the new guest. Typically, this would be a discount off their next stay for both parties or a voucher. The more referrals the bigger the reward. If previous referrers haven’t referred anyone in a while, don’t forget to occasionally send them an email to remind them of your referral system. For some giving back is enough of an incentive. For every pound spent a percentage could be donated to a local charity. You could base this on your values or even your guests’. For example, if you are a dog-friendly rental then you could choose an animal charity, fix the fells if you are in the Lake District or RNLI if you are in a coastal resort. By doing this your guests know that you’re a caring person and are likely to be a credible host. Alternatively, you could just ask holidaymakers what would encourage them to return when you send a follow-up email. This could be an open-ended question, or you could send a short survey with the most popular options to choose from. This way you can ensure your rewards are useful and entice repeat visits. The average person signs up to 14 loyalty programs but only engages with half of them. If you’re asking customers to make the effort and join your customer loyalty program, make it worth their while! Exposure is key to running a loyalty program. In addition to emailing recent guests with details of your loyalty scheme, engage with potential holidaymakers on social media and tell them about the benefits of signing up for your loyalty program. It’s worth looking into social media ads to reach even more holidaymakers. Alongside this, you’ll want sign-up forms on your website and leaflets in your rental that promote the benefits of your loyalty program. Make the loyalty program easy to join and manage by using automated software that stores data and allows members to log in and see their rewards. The number of people who sign-up to your program on a weekly basis and whether these are past guests, refer a friend or have signed up via your website/emails/social. The most important statistic to measure is the level of engagement. Are people using your loyalty scheme? You can track this with unique tracking codes that guests can use when booking. These loyalty programs are a cost-effective way of encouraging holidaymakers to rebook your property and attracting new guests. They reward custom as well as boost your bookings. After all, everybody loves a freebie! Just make sure they don’t make too much of an impact on your bottom line. You don’t want to be discounting the peak weeks that you could rent 4x over. However, it’s a balance between maximising income and reducing your marketing activities and budget. What type of customer loyalty program does your rental use?